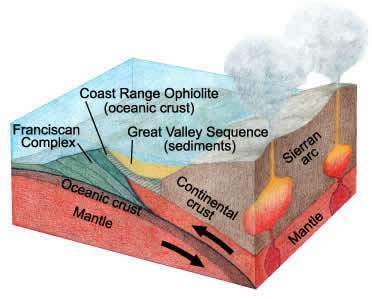 Without a doubt, subduction zones are the most dangerous plate boundaries on the planet. Divergent plate boundaries produce earthquakes and occasional volcanoes, but nothing on the fearsome scale of the calderas and stratovolcanoes and magnitude 9 earthquakes experienced at convergent boundaries. Transform boundaries produce earthquakes, but they are magnitudes smaller than those produced at convergent boundaries (despite what certain Hollywood movies have asserted recently). 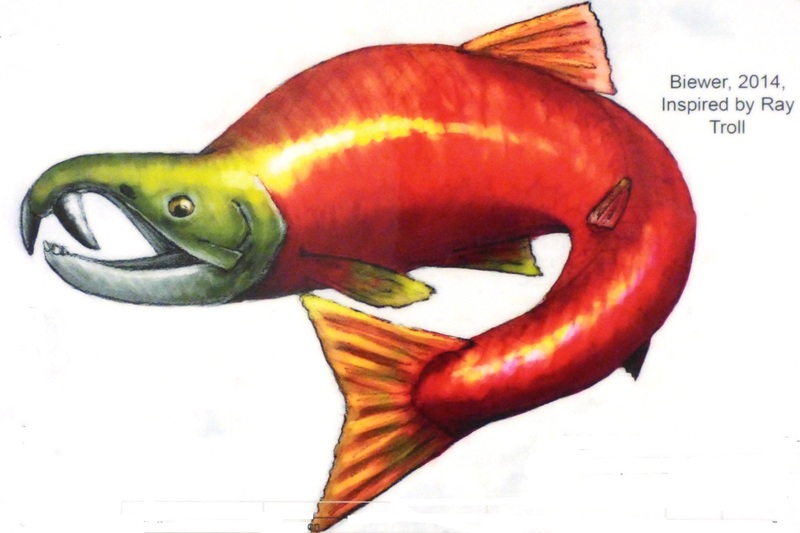 Hot spots, while not a plate boundary, can produce huge caldera complexes like Yellowstone, but such monsters have not had much of an effect on human history of the last few thousand years. It is the subduction zones of our planet that have caused the most human misery, in the form of massive earthquakes, tsunamis, and violent volcanic eruptions. We have been driving through an example of one of the most dangerous plate boundaries in the world, but our particular example has been inactive for a very long time. 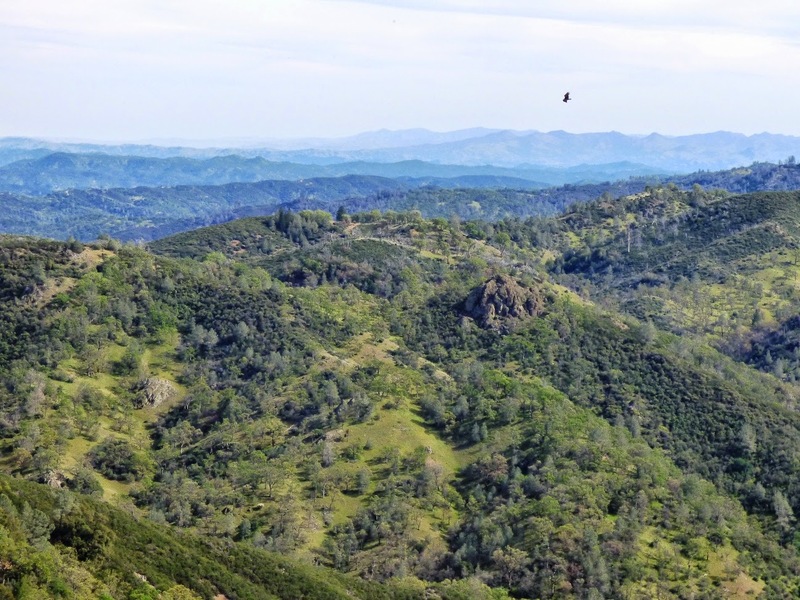 Central California was a subduction zone complex for more than 150 million years, primarily during the Mesozoic era, but it changed into a transform boundary only a few tens of millions of years ago. The San Andreas fault is the resulting feature, and it is capable producing damaging earthquakes, but even the most destructive quakes, like 1906 in San Francisco (death toll 3,000), is but 1/30 of the energy of a magnitude 9 quake like that of Indonesia in 2004 (where the resulting tsunami killed 200,000 people). 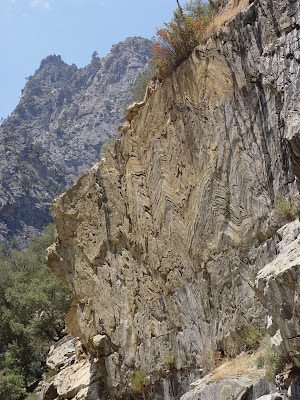 The introduction to the new series, a geological transect from the California Coast to Yosemite Valley, crossing an ancestral subduction zone that once caused geological havoc in a zone from Mexico to Canada (and still is in a few places). An overview (in the most literal sense) of the lands we will traverse on our journey. We have a look at central California from above. 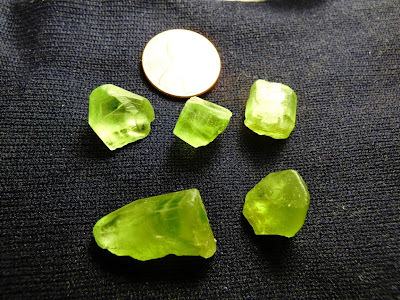 These Rocks are All Wrong! 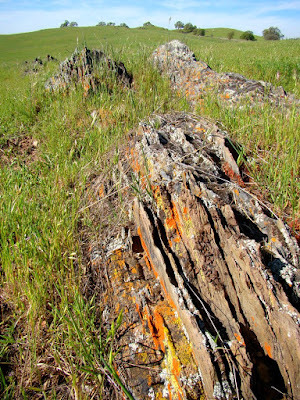 Granite is exposed in the rocks of the Point Reyes Peninsula. But the arrangement of rock and sediment in subduction zones suggests that granite shouldn't be anywhere near here. It's the San Andreas fault. 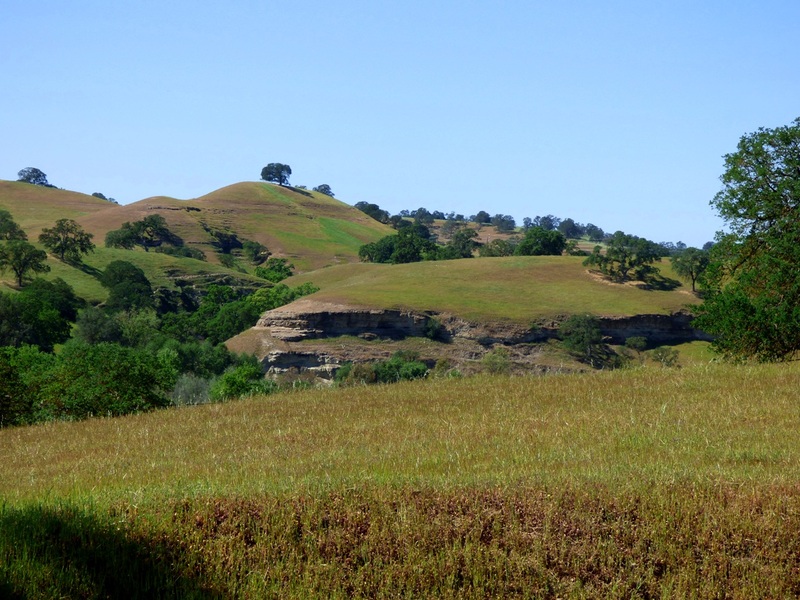 In California, it's always the San Andreas' fault. 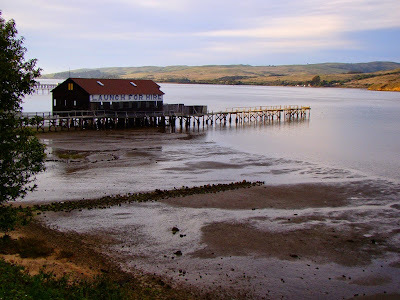 The peace and serenity of Tomales Bay belies a violent past. 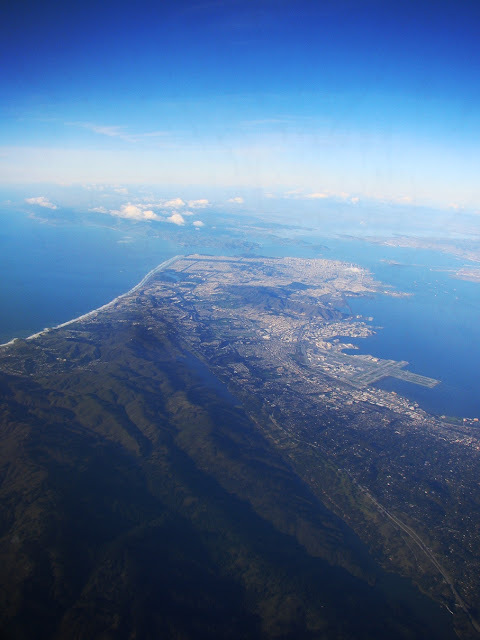 The San Andreas fault slices right through the bay, and produces large earthquakes with disturbing irregularity. 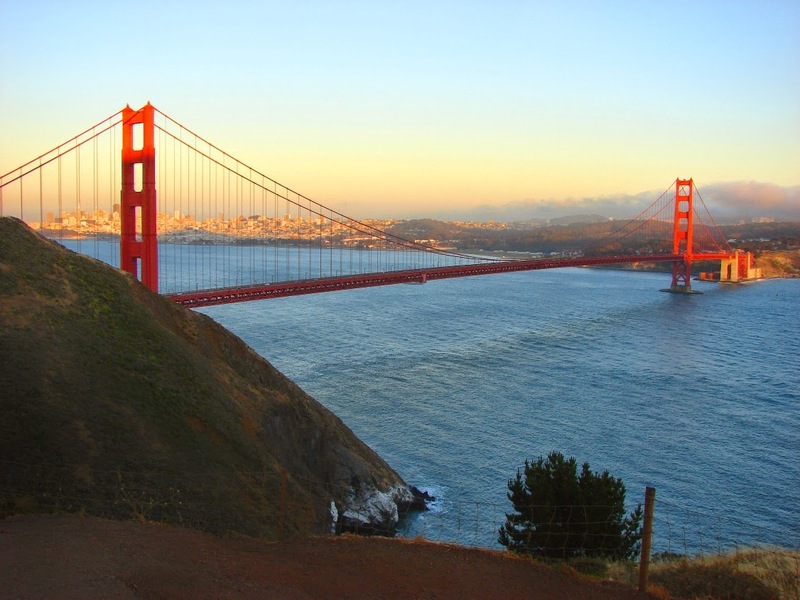 The epicenter of the San Francisco quake in 1906 was not far from here. 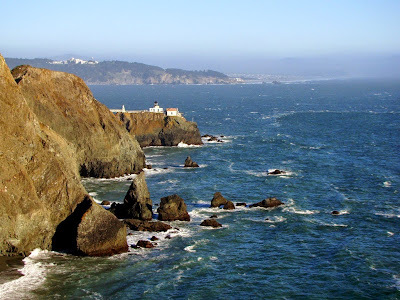 The Marin Headlands began as a giant collector of geological flotsam and jetsam from the crust of the Pacific Ocean. The jumble of rocks accumulated in an accretionary wedge, and were later lifted up into the mountains of the Marin Peninsula. 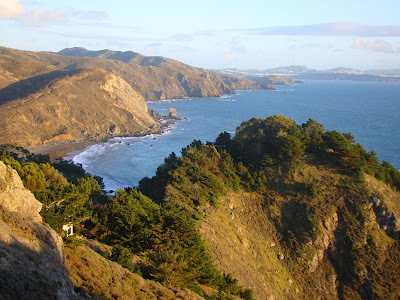 Exploring the hidden corners of the Marin Headlands, we find Redwood forests, beautiful views of San Francisco, and disturbing reminders of World War II. 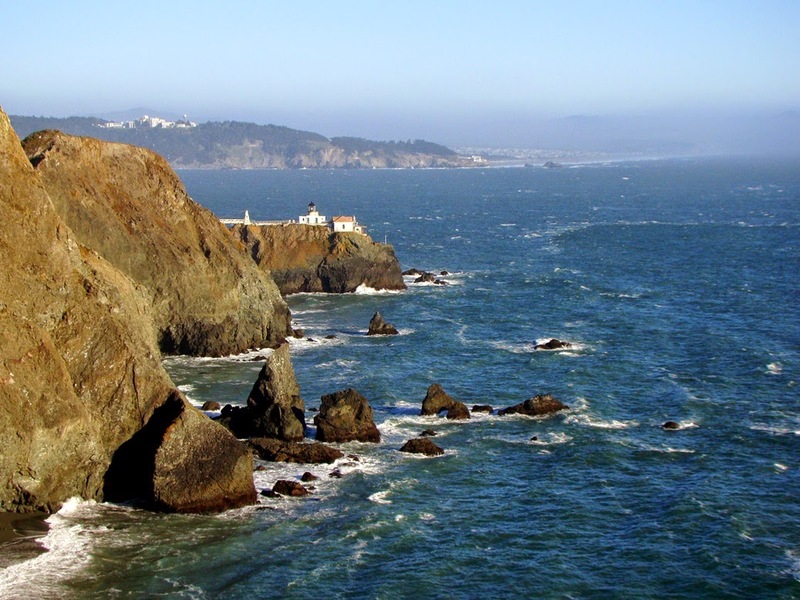 Although the subduction zone that formed the rocks of the Marin has been extinct for a long time, there are still plenty of hazards remaining in the region, both geological and nautical. 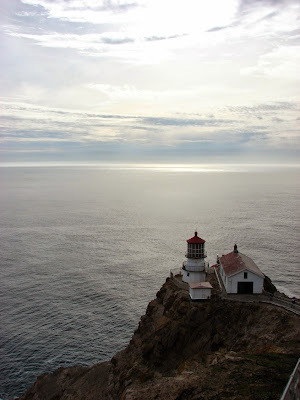 The Point Bonita Lighthouse has been present in one form or another for 160 years. It hasn't always worked, as there are upwards of 300 shipwrecks in the area. There are other hazards too. 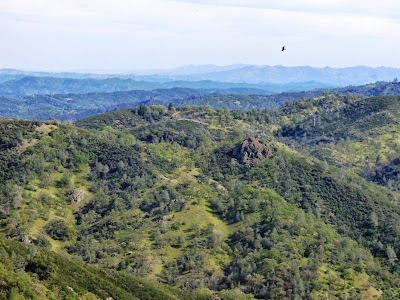 The Alien Bursts Forth in the Diablo Range! 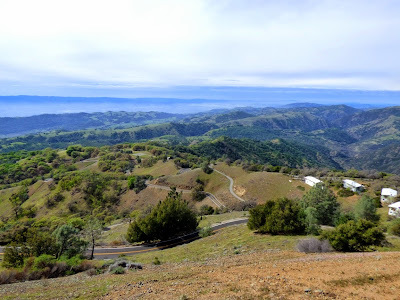 We make the first part of a long drive through a rugged portion of the Diablo Range, one of the largest sub-ranges in the Coast Ranges of California. Along the way we cross through two exotic terranes of rocks that had been carried miles deep into the crust in the accretionary wedge of the subduction zone. Making our way down Del Puerto Canyon in the Diablo Range, we do the equivalent of traveling through the crust of the Earth all the way into the mantle, finding outcrops of peridotite and dunite, rocks containing the mineral olivine among others. 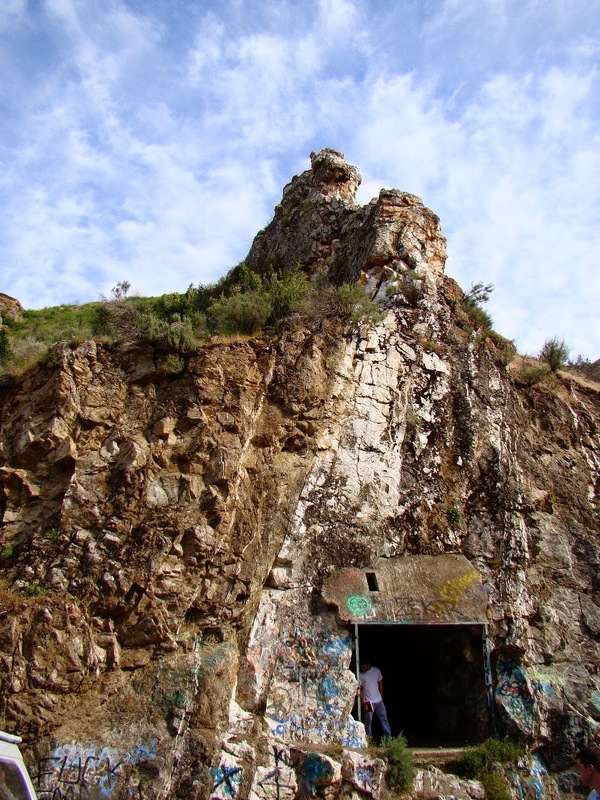 For the mercury miners, this truly was a portal to Hell. Del Puerto Canyon cuts a swath through the Coast Range Ophiolite, the remnants of the ocean crust that once lay at the bottom of the Pacific Ocean. 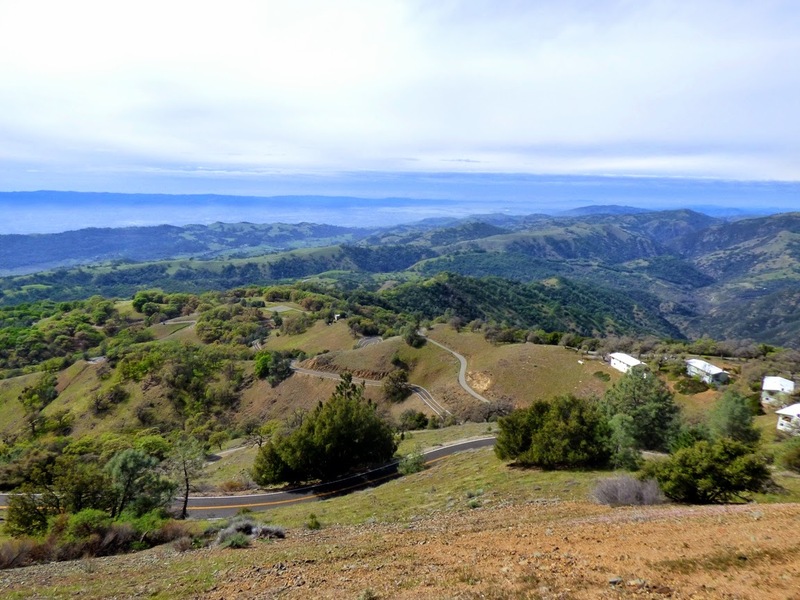 Though mostly in private ownership, the canyon is one of the most scenic in the Coast Ranges, and a pair of county parks in the upper reaches invite exploration. Sediments accumulated in a deep trough along the west coast of North America called a forearc basin for upwards of 100 million years. The layers reached a depth of 5 miles! In those waters swam mosasaurs (yes, like in the recent Jurassic World movie, but they forty feet long, not a hundred), plesiosaurs, ammonites, and occasionally a drowning dinosaur. 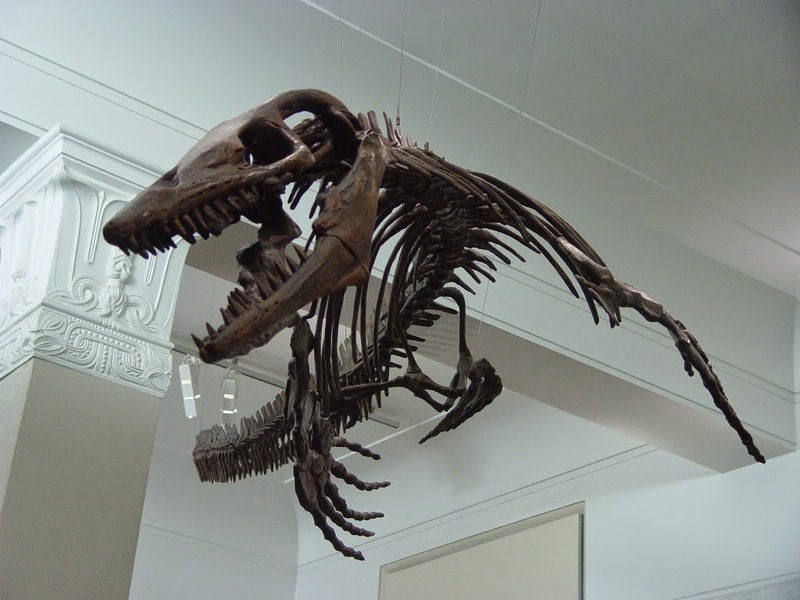 The first discovery of a dinosaur in California happened here in 1936. 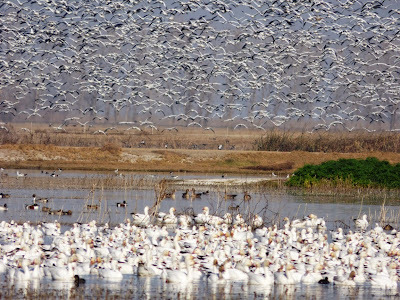 The American Serengeti is a vast plain 400 miles long and 50 miles or so wide that once was the sea floor. 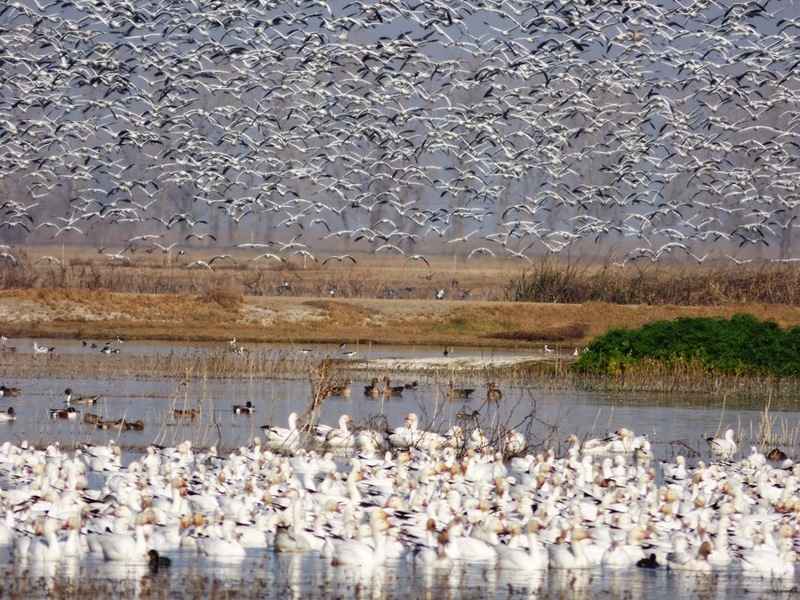 The grasslands of the Great Valley once supported millions of migratory birds and grazing animals. It still supports millions of organisms, but these days, those organisms are humans. 95% of the original prairie has been developed for agriculture and the region produces a quarter of the nation's produce. And all of the almonds and walnuts. The Great Valley would have been a most dangerous region for a different reason in the Pleistocene. 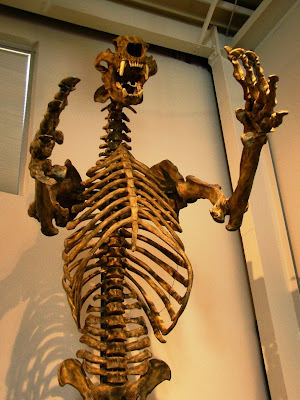 Among the great herds of grazing animals there were predators, and they were adapted to bringing down giant prey, not the small game we find today. Gigantic Short-faced Bears, Saber-tooth cats, American Lions, Jaguars, and Dire Wolves. 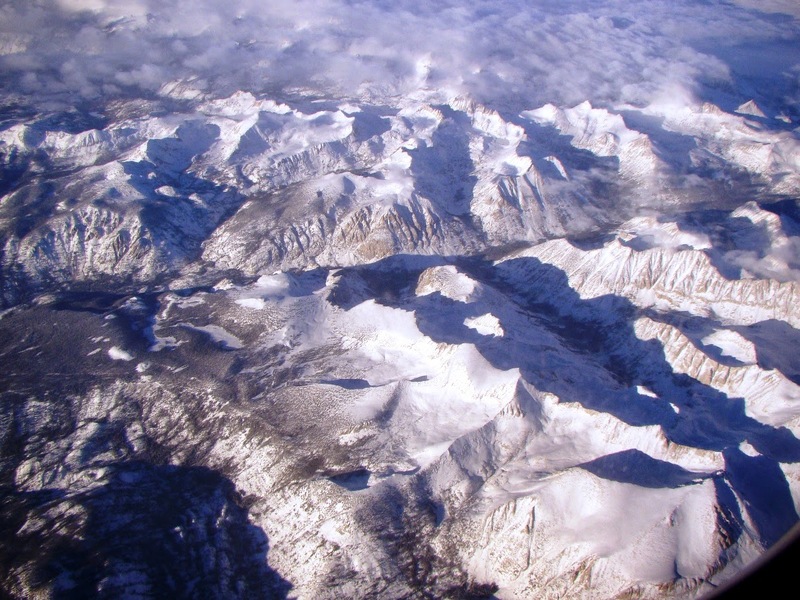 At least three Sierra Nevada ranges have existed throughout time. They might have even once been higher than today. The distorted deformed metamorphic rocks tell the story of the earlier ranges. The Valley Springs formation, exposed throughout much of the Sierra Nevada foothills region, forms gentle grass and oak covered slopes, but the rock is made of volcanic ash that originated in monumental explosions millions of years ago. The ash came from gigantic calderas, some of which were hundreds of miles away in central Nevada. There have actually been at least two subduction zones in California. 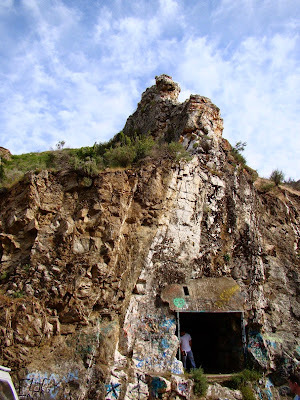 Remains of the older one still make up the rocks of the Sierra Nevada Mother Lode, and those rocks were the source of gold in the Gold Rush. We wrap up the series in the heart of the ancient magmatic arc: Yosemite Valley. Walking among the towering cliffs, we are reminded that the rocks were actually formed within the magma chambers of volcanic systems, perhaps similar to Lassen Peak, Mt. Shasta, or even at times, Yellowstone. Very interesting article, have a nice day.